First impressions are only granted once! Clean cladding really does count. It is a bit of an old cliché but it’s true: You never get a second chance to make a first impression. Every “first” with your client matters – whether it’s their first communication with you, their first meeting with you or the first time they see your premises. 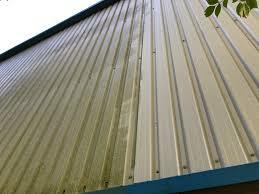 What does the cladding on your building say about your business? It’s easy to forget that the outside of your office is the first thing your customers see when they visit. Your website is like your virtual “shop front” but does the real-world look of your office tell the same story about your professionalism and the image you’ve built for your company? You can’t count on being able to PhotoShop all of your pictures either. You’ll often find that the first thing you see when you look up your company online is a picture of the outside of your office that someone independent has taken and submitted. It’s a good idea to make sure the opportunity for creating positive first impressions is weighted in your favour with a little TLC on your part. Giving some care and attention to the aesthetics of your building shows your customers, suppliers and staff that quality and professionalism are important throughout your business. The impression of quality isn’t just reserved for products and services, research suggests that the appearance of your work environment is a motivating factor for conveying that you are ready for business. Our new cladding cleaning service benefits our customers, not just for the improved appearance it gives your building but also for the long-term savings that this kind of regular upkeep can bring. A major benefit of keeping your building’s cladding clean is the increased lifespan it can offer. 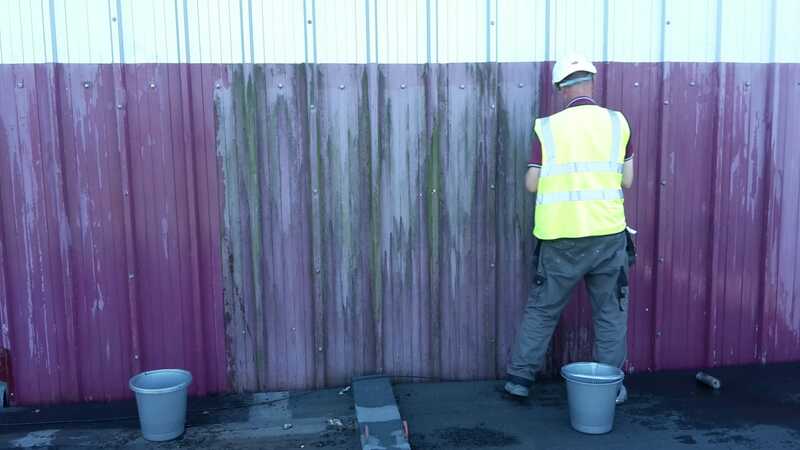 A regular cleaning service not only better equips you to keep potentially corrosive dirt and grime at bay for increased longevity of your cladding, but it also allows any damage to be identified early before it requires costly repair or replacement work. Our teams of specialist cleaning and cladding technicians are trained to clean cladding and façades safely and efficiently to guarantee you professional results no matter what the situation or material. 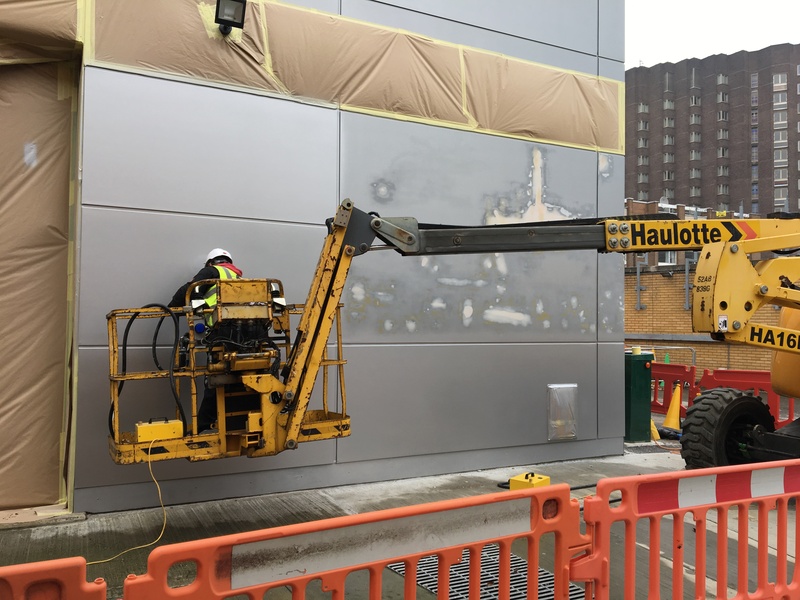 Our trained operatives will find the cleaning and access solution that is correct for your building, so where required are able to use access equipment and cherry pickers to work at heights of over 300ft. Whether your building has aluminium, plastic UPVC, stainless steel, glass or another cladding material, irrespective of what is used in the construction of your building, we guarantee to be able to clean it professionally, with minimal disruption to your business. 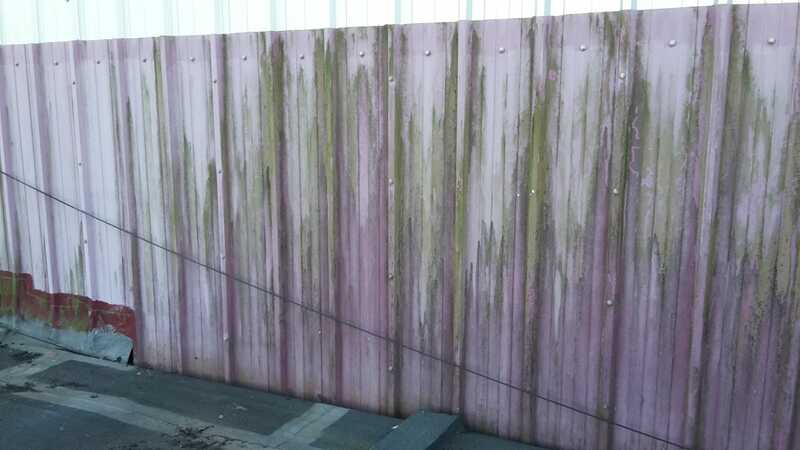 To arrange a free site survey for a cladding cleaning quote, please get in touch. Whether you need to clean, repaint, repair or replace your cladding or facades, our experts can help you get the most out of your composite cladding panels. Contact us on 01908 765 009 or email info@buckinghamcoatings.co.uk for more information.